Only 3 Months Before Your Wedding, where did the time go? At this point, with only 3 months before your wedding, you’ve spent the last 6 months planning for the day you’ve been dreaming of all you life. There are only 3 months before your wedding and you’ve been busy! You’ve scouted and booked your venue(s), set your budget, finalized your guest list, and sent your Save the Date cards. You created your wedding website and set up your registries, booked your wedding vendors, and reserved room blocks. You shopped for and ordered your wedding gown, searched, tasted and ordered your wedding cake, finalized your florals, and taken your engagement photo. Way back when you had 8 months before your wedding you started coordinating your rehearsal dinner with the host. It’s time to send out invites, and they should traditionally come from the host of the dinner. This is important, so I’ll repost the information from last month. Your marriage license can be from any county in Texas and is valid for 89 days from the date issued. You are required to show up in person, provide identification, and wait 72 hours, but you can get one from any county clerk’s office. In fact, Rockwall County has been known for more than 70 years as the “Marriage Capital of Texas.” You can download the application from their website, then make a day trip to pay the $82 fee and present your IDs. If you can’t swing a day trip to Rockwall County, you can head over to the Travis County clerk‘s office on Airport and pick up yours locally. Your license is good for 89 days from the issue date. Make sure you both appear with your IDs, social security numbers, and $81. Recent divorcees (within 30 days) need a copy of the divorce decree. 3 months before your wedding is where your planning and organization start to really pay off. Way back when you had 9 months to plan you started working on a song list with your DJ and/or band. You can give them the list now, but don’t worry; if you realize you left something out you can always add to it. Be sure to include your song choices for introductions, first dance, cake cutting, father/daughter dance, anniversary dance, and last dance. If you’ve got additional musicians for the ceremony, such as the harpist in the gauzy gown I talked about in the first article in this series, send that list to your ceremony musicians. Do you have everything you need to finish out your wedding day ensemble? You may have gotten all of your jewellery, lingerie, veil or hat, gloves, etc a few months ago. 3 months before your wedding is a good time to take stock and make sure you didn’t leave anything out. Create a Wedding Day Timeline. You’ll be sending your timeline to your wedding party and vendors, as well as your designated day of coordinator. You can contact each vendor and find out how much time they need to set up and adjust my sample timeline as necessary. Keep in mind that some vendors will need other vendors to be set up before they can begin. For example, as a florist, I need the linens to be thrown before I can set up centerpieces. Your caterer will also need the linens thrown prior to set up, but the caterer may also be your linen supplier. If you’ve hired a lighting company, they may need to set up before the tables and chairs are set up. Ask your vendors for help in planning your timeline. We want your wedding to go smoothly, too! Finalize any special requests, readings, and any other ceremony details in writing with your officiant. You have been working out, detoxifying, and have gotten into the best shape of your life. Your dress may no longer fit the way you want it to. Back when I was still in high school I worked at a bridal shop. Brides always requested really tight dresses because they were “going to lose ten more pounds before the wedding”. I listened everyday to the alterations girl explaining that it is better to perfectly now, even if it’s a little loose then, because they can come back two weeks before the wedding for a final, final fitting if they do indeed lose ten pounds. You may indeed decrease in size between now, 3 months before your wedding, and your wedding day. But, at the wedding you will be eating, drinking, dancing, sitting down, getting up, and generally not standing still in front of a mirror. You need to be comfortable. 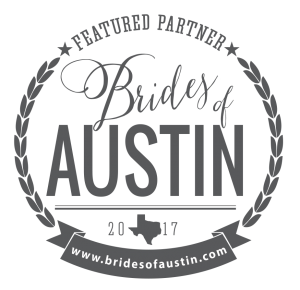 Invite your maid of honor/mother/or friend to attend your final gown fitting if your gown has a bustle so they can learn how it ties. Move on to see what you’ll be doing 2 Months Before your Wedding.